Obesity vs. Smoking: Which is More Dangerous? Can obesity really be as deadly as smoking? For years doctors have been warning patients about the dangers of smoking. But what about being overweight? Can it be really as bad as lighting up? Will a few extra pounds really have a dramatic impact on your health? The answer may surprise you. New studies suggest that obesity actually leads to more doctor visits than smoking. And while smoking has been on the decline, obesity rates continue to rise. Roughly one-quarter to one-third of Americans and Canadians are obese while two-thirds are overweight. An estimated one-third of American children between the ages of 2 and 19 are also overweight. But it gets even more serious. According to the CDC, obesity falls closely behind smoking in annual premature deaths: 324,000 to smoking’s 443,000. And in terms of money spent, obesity actually exceeds smoking in yearly medical care costs with 147 billion spent on the former and 97 billion on the latter. Simply put Americans exercise less and eat more of the wrong kinds of food than they did in the past. In fact, the Medical News Today reported that 3 out of 10 adults are not doing the recommended weekly exercise such as walking 30 minutes 5 times a week or running 20 minutes 3 times a week. Children in particular spend a record amount of time in front of the T.V. and computer. Long gone are the days when kids would spend hours playing outside. As much as 80% of kids between the ages of 13-15 don’t even get the recommended hour of daily exercise. And adults do not fare much better. A sedentary lifestyle has become the norm rather than the exception. In terms of what we eat, processed and prepared foods, loaded with sugar and high fructose corn syrup make up the majority of the modern American diet. A staggering 90% of the money Americans spend on food is used in restaurants or in purchasing processed foods. A diet rich in heavily processed, nutritionally-deplete food wreaks havoc on our bodies. To reverse the tide, we need to rethink how we approach our food. Like anti-smoking campaigns which reveal the true dangers of smoking, we need to make people aware of how their food choices affect their health. Avoid Processed Foods: Prepackaged foods and beverages are loaded with everything you need to avoid like sugar, high-fructose corn syrup and empty carbohydrates. Buying whole foods and preparing your own meals ensures your body’s getting properly nourished with quality ingredients. Eat More Raw Foods: Raw fruit, vegetables, seeds and nuts are full of vitamins and fiber and easy on your digestive system. Replace Sugars and Carbs with Healthy Fats and Omega-3’s: Although fats generally have a higher caloric content than sugar, they are rich in nutrients and essential to proper body function. Exercise. Not only does exercise keep your weight down, it keeps your spirits high and reduces stress. Limiting T.V. and computer time for children is particularly important in keeping them fit. 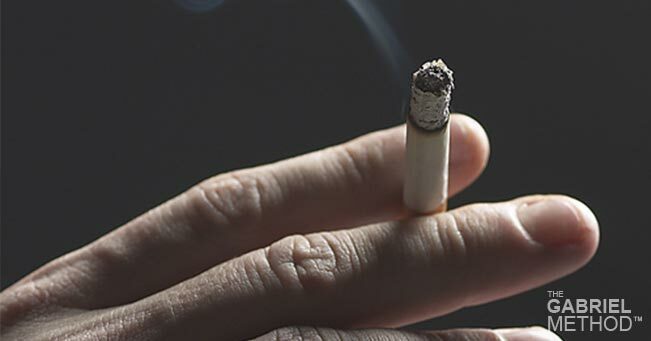 Anti-smoking campaigns have been really effective in exposing the dangers associated with cigarettes, so should a similar approach be used for unhealthy lifestyle choices? What do you think? Would an anti-junk food approach be useful? Share the post "Obesity vs. Smoking: Which is More Dangerous?" A leader in mind-body weight loss, The Gabriel Method takes a hormonal approach to "inside out" weight loss by addressing the underlying causes of weight gain and reversing them forever. Founded in 2008 by Jon Gabriel, The Gabriel Method has touched over 400,000 lives through its best-selling books and holistic weight loss coaching programs. How Probiotics Can Help with Weight Loss? Is Intermittent Fasting Good For Weight Loss? If every person was given this book, no one would be obese. It would be an epidemic of the past. It almost seems sad people are dying because of obesity when it's so simple to be thin! I have been struggling with my weight for the past ten years… I could not understand because I don't eat desserts, cakes, chocolate or sweets and I cook most of my food. After reading your book I realized that I was actually nutrient deficient. Since I have been listening to your CD every night, I don't feel hungry at all. I was working at radio station 4BC when Jon came on to our breakfast show at my request as a producer for several shows. I was so impressed by my own results with Jon’s Method that I wanted to get him on air. WOW! I read [the book] over two nights, couldn't put it down. It was like the penny had dropped, after three days of listening to your meditation CD, my whole relationship with food changed... I can't explain my extra energy, my ability to handle my very stressful job is so much easier, I'm happier and more confident. Since I've read your book and listened to you CD, I've been craving dark green leafy veggies, and I've also slowed way down on sugar. As a matter of fact I don't crave sugar! My daughter is doing great too. We both have committed to following your lifestyle. I tell everyone I see about your book and CD. Thank you so much. You have brought together a multitude of aspects and created a truly holistic 'treatment' that is more a new lifestyle and at a time of raised awareness where it all makes such intuitive and rational sense. I am feeling so much more energetic already as I gradually introduce more live foods and nutrients into my body. Your desire to share your wealth of knowledge and amazing success with weight loss is what is so inspiring to me and I'm sure will be to millions of others around the world. I'm no longer hungry, just content! … for the first time in over 20 years, I am not hungry. I feel content - just very different. For some reason, I don't seem to require a lot of food. My portion sizes have gotten smaller. I don't measure them out, but I look at what's on my plate and it really is a small amount. I just don't feel that I need it. I don't crave sweets either and I'm a chocoholic - at least I was one. Now I can take it or leave it. After following your method I can now get back into some of my old "skinny" clothes, which is fabulous! PLUS I am eating a lot more and exercising less! So, Jon...a big THANK YOU. How wonderful for you to be able to help people in this way! Your work has helped me in at least two ways: first, since my husband died 20 months ago, I added 15 pounds and have slowly lost it over a year...but it would keep coming back in 2-3 pound lots. I now know why I gained the weight and how to take it off without cycling through diets and most of all without 'working' at it. The whole approach is enlightening, very interesting and humorous, so it was a joy to listen to. Many thanks for a great, commendable program, Jon. I am telling everyone all about you. I have FINALLY found the holistic approach to weight loss that I have been searching for. Your method is the first holistic approach that has made sense to me. Thank you so much. The Gabriel Method is the most amazing process… our bodies work the way they work. I have been using this method for a month, cut back my walking by half and people are asking me what diet I am on! I have complete pleasure in telling them I am on no diet and letting my body get me to where I need to be. I've applied visualization techniques using your CD for the first time last night and I'm feeling a big difference from within today. I find I am no longer obsessing about food all day. I have had chocolate bars and cake in the house all week and I have paid no attention to them (normally they would pray on my mind all day until they were gone, and still I would not be satisfied). Gone are the days of constant dieting, taking pills and shakes and feeling guilty about food. I now have a powerful tool (my mind) just took someone like yourself for me to realize it was always there for me and will work for me when I truly need it to. Any doubters out there I say, give it a go! You have nothing to lose but weight which has held you back from the true sense of living. I was given The Gabriel Method book about a month ago. I had some skepticism about this new dieting fad. How wrong I was. I had given up on the idea that one day I could be thin again, however, I read the book in one weekend and as they say, I had a light bulb moment, where I finally realized why I was overweight. It has been a month now and not only have I lost 8kgs, but I am alive again, and it has been noticed by everyone around me. I am smiling and have a passion for life again. I am finally seeing results! I started to follow The Gabriel Method book and two months later I have lost 9 kgs. At this time I have not done any exercise due to having arthritis. My aim is to lose another 15kgs & I believe it's going to happen..Jon Gabriel you are a God send! 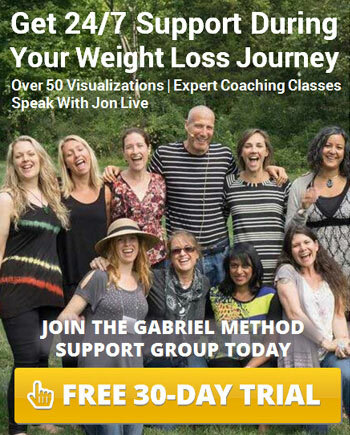 I love The Gabriel Method book..it brings together many concepts I have studied for years and have not been able to collate in a usable way..brilliant and insightful.. Jon is light-years ahead of the world and since I started listening to the CD at night time, I have lost another 4 kg. My body and mind loves this. Of all the books I have read, this one shows a truth my body understands. I started listening to The Gabriel Method visualization/meditation at the end of August. Four months later, I'm down from a size 18 to a 10/12. I have lost almost 40 lbs. I didn't change much other than to add some walking 5 days a week which I haven't even done for 2 months since the snow started and I'm still losing weight. I have read The Gabriel Method book in the last 2 weeks, and what a change to my life! I am about 70kg overweight, but have discovered that losing weight is really a change of mindset about your life and food. I lost 2.2kg since I started reading the book and listening to the CD every night. I sleep better, feel better and want to eat better already. I was a chip(crisps)aholic and have not craved any in about 3 weeks now - that alone is a miracle! I just started reading The Gabriel Method book and it is like Jon is talking directly to me and telling me, Hey Jeff, you are not alone and this will work for you. I am thankful to Jon for writing this book. Finally there is something that I can actually do to lose weight - reprogramming the mind makes so much sense to me! I was a little skeptical when I first came across this book but I thought, what have I got to lose, I'll read it & listen to the CD anyway and see what happen.WOW! I am amazed at the results! I lost 1kg in the first week but the biggest change has been a mental one. I am no longer craving sweet things or worried about food all the time and I find that I am wanting to exercise and eat natural healthy foods. I am a huge fan of your work which has been inspiring and has helped me a lot. As a biology student your ideas make perfect sense to me and explained a lot about why I am the size that I am. Before your book I was obsessed with eating and I couldn't stop thinking about. After incorporating your ideas into my life I no longer have this food addiction except if I am stressed or not eating right. It is surprising how predictable my body has become! Thanks for sharing your ideas with me and the rest of the world. I believe in the power of visualization. I downloaded The Gabriel Method CD and listen to it every night. It has been miraculous for me. I just can't think of any other way to describe it. I believe in the power of visualization and this has been another reminder of the powerful link between mind and body. I lost 1kg in my first week and found myself exercising every day and eating much healthier food. I've been on The Gabriel Method for three weeks now and have noticed that my belt notch has decreased one notch which is about 2 cm! I don't even show the slightest interest in cakes, biscuits or other 'party' foods and only eat my three main meals (most days), and I now drink a lot more water. I used to not eat breakfast and constantly obsess over food. It was the true 'famine' syndrome. I know that I will achieve my ideal weight. I catch myself dancing and whistling! Two weeks and 6.5 pounds down, I’m feeling great, have a new attitude, am much less cranky and I am catching myself dancing and whistling! ME! As great as all of this is, the aspect of that I find the most surprising is the amount of detoxing my body has gone through. I bought the book a week ago, read it that night and wow, it sure did put a lot of "stuff" into perspective about food, weight gain and weight retention. I immediately started to implement "whole foods" and I really don't feel like eating rubbish at all. I’m enjoying real food, which is good for me and I am already starting to feel like a thin person, because the weight is falling off.... I am feeling so much better, thank you Jon! A week into doing The Gabriel Method I feel better already. I don't crave sugar, am eating fruits and veggies and am feeling great! Thanks Jon! The Gabriel Method truly is amazing! My cravings are subsiding and I feel so much healthier. The CD is the key for me. I started it on July 31 and have lost 7lbs so far! This is miraculous for me, after exercising 7 days a week and counting every calorie I was losing about 1 lb per week. Now, my first week and NO exercise I lost 7lbs! Thank you Jon Gabriel! I just finished The Gabriel Method book. It's been 3 days since I got it and started reading and listening to the CD. My mindset is changing. My cravings are changing. I don't want sugar (amazing for me) anymore. I'm so glad to be ending the struggle once and for all. Finally a solution that addresses the real issues instead of throwing diets at it. I am in awe at how well I am sleeping- I’m feeling like a Queen and even exercising with mighty enthusiasm. Visualizing and the mind connection are saving my life. Thanks a million, Jon. I have lost 7 kgs in 2 weeks! I owe a lot to Jon Gabriel and it's only been 2 weeks since I started this way of life. I have lost 7 kgs, never feel hungry and now really feel like eating the right foods all the time.148 kg to 141 kg in 2 weeks. This is the start of my journey, thank you Jon Gabriel. My body just turned off the stomach switch! I have just finished reading The Gabriel Method book, and listened to the meditation CD tonight for the first time. The thing that amazes me most so far is how full I feel after eating a fraction of what I'm used to! It's like my body just turned off the stomach switch! There's a full cheesecake sitting in the fridge (normally something I’d sit down and eat in about ten minutes) and it's just plain uninteresting. Amazing after only a few days of knowing about this book! I bought The Gabriel Method book this week, downloaded the CD and have used it every night since. Already I notice I am much more positive, not just about weight loss, but I’m noticing that things that would normally stress or tire me, simply don't! Also I'm finding I just don't feel like eating the foods I would normally go for, and am wanting the healthier options. If this has happened in only 3 days, I figure it's only going to get better. For the first time ever I feel like there is hope. My insulin intake has now dropped to 20 units morning and night from 60-64 last January. My general health has much improved and I am slowly, but surely, losing weight – 15 kilos up-to-date. My specialist is delighted and asked for the name of the book to read for himself. I love the program it is fantastic and has helped my self confidence as I was putting pressure on myself for not being able to lose weight. Now the pressure is off! This programme is exactly what I needed to really understand the method and apply it to my life. The support on the forums and the generosity from Jon is incredible. I am so happy I took the leap of faith and committed to the programme. Thank you! It’s amazing the way Jon explains everything about Insulin Resistance. I have had it explained to me before but now Jon has given me the key! I think of the insulin effect every time I want something to eat now. It has made an enormous difference. I am enjoying food so much more now and making great choices Thanks so much Jon and the team. Big hugs from me, you are all a gift to the world. It is just great and amazing to follow the Gabriel Method step by step program. The core lessons are so interesting and I learn so much! The meltdown has begun for me and I see and feel the fat melting away day by day! Something I never thought possible! It’s so good to be ‘taken by the hand’ so to speak through all the steps Jon describes in his book. The Gabriel Method Step by Step program is really designed so you can take weekly steps, that are exciting, not a chore, because Jon gives us weekly visualizations that help you to happily incorporate every single one of them! I feel lighter, more positive and have already changed habits. This is only going to keep going and get better and better! I am getting so much out of the Gabriel Method Step by Step program. I am really enjoying the structure and the support to understand and follow Jon’s method. It is really helpful to have the forum for support and to ask/answer questions, post progress or difficulties and such. I really am feeling the fat melt away! Can’t recommend it highly enough! The Gabriel Method Step by Step program is the best thing that has happened to me. Ever since I read your book two years ago I wanted something like this. I just love the weekly checklists that show me exactly what to do. Since I started putting into practice the Gabriel method I can see an improved relationship with my husband. I have lost 2.5 kgs and I feel reassured that I can lose my excess weight – something I had given up on. The visualizations are calming and encouraging. Thank you Jon and the Team for this fantastic effort! I read this book regularly particularly when I need more inspiration to stay positive. I really enjoy Jon’s style of writing and the fact that the ideas can be easily assimilated into ‘real’ lives. It is effectively set out so that I can access the key information that I need, when I need it! Lost 4kg this week. Back on track and it’s not even an effort, not even attempted. New goal is 100kg by the 23rd of October which will be 100kg loss. I have to get there to show myself it can be done! This is such an excellent book-thoroughly readable and with its feet planted firmly in the “real” world. I have read the book twice and use it as a reference book. I still feel that I have work to do to completely turn off the FAT programs, but this book is a great resource to assist me with my journey. I am a GP and have recommended to several of my patients that they purchase this book. I've not dieted for 2 weeks and lost 15.5 pounds, I'd like to thank you from the bottom of my heart. I find the most powerful parts are the visualization and mental aspects you teach. Your book has been a revelation as far as explaining why I have had trouble losing weight before. I have lost another 3 pounds this week, despite indulging my cravings for chocolate. Fifty-five pounds total so far! I'm feeling better and better every day, and I have no loose skin! Thanks so much --- You inspire me every day! I bought your book last Monday and it is AMAZING. People like you really do make an impact on the world. You have covered the very thing that everyone else misses—the mind-body connection. I have been reading your book... and gradually implementing the recommendations you make --- So far I've lost around 20 to 22 pounds within about seven weeks. Through reading your book and listening to the evening visualization CD I have gone from 108kgs to 58kgs! You are the best thing that ever happened to me, you have taken me out of a swirl of stress and constant weight worry. With reading your book and listening to your CD every night I have gone from 108 kgs to 58 kgs. I look better and sleep better. I trust myself. Thank you so much for being so real. 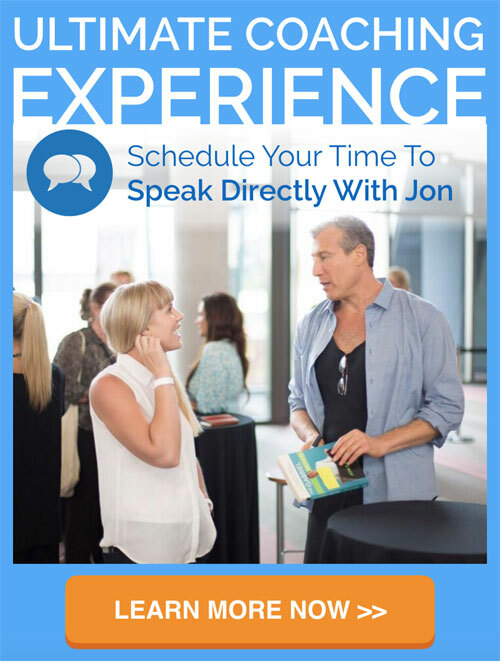 I totally resonate with Jon's work and have needed to implement it with myself and my own weight loss program. On the 14th June 2011, I weighed myself and was exactly 170kgs. Six months later on the 14th December 2011, I weighed myself and I am 147kgs, I have lost 23kgs so far. I am really proud of myself and mostly thank Jon. God bless you and your family with health, love and peace. It was the most inspiring weight loss book I have ever read, and believe me, I've read a ton! 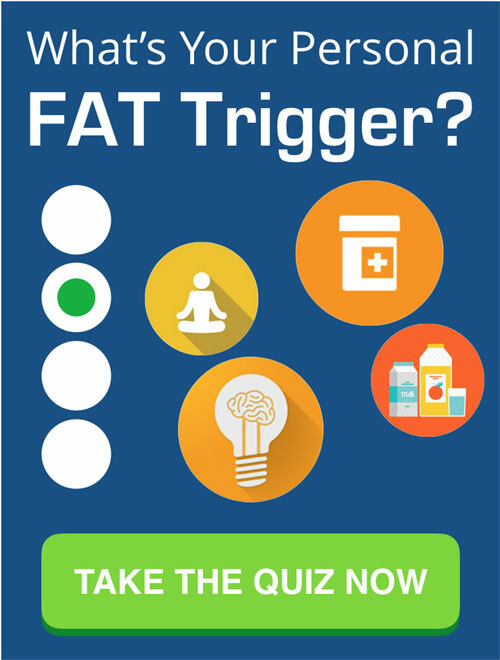 It helped me figure out why I was holding on to that unwanted fat and helped me convince my body that I no longer needed it. I lost the weight with no extreme surgery or exercise. Thank you so much for writing this book, I have recommended it to so many people! Health Disclaimer: The Gabriel Method is not intended to treat, cure, or prevent any disease or illness. This information is intended for educational purposes only, not as medical advice. Always check with your doctor before changing your diet, eating, or health program.